3 Beds 1 Bath 1,152 Sq. ft.
Good location near Woodland. Property has a detached outbuilding, nice trees, paved road, city water and 3 wells. Over 150 sq. ft. of covered porches. Adding a 8'x12' utility room on the east side. 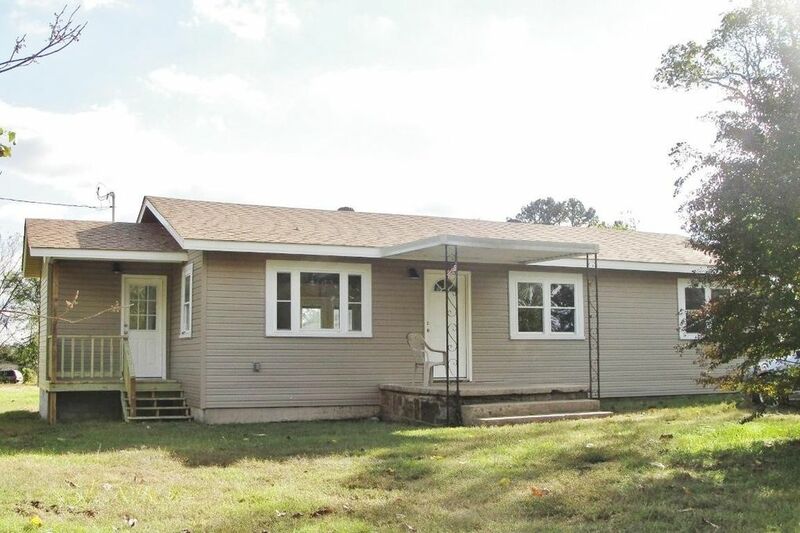 New electric hot water heater, all new electrical wiring throughout the whole house, new HVAC Heat Pump, double sink in bathroom, all new plumbing, good vinyl insulated windows, good roof, new floor coverings throughout. Home has all new flooring, sheet rock, paint and lighting. It has vinyl siding, front covered porch and new rear concrete patio. Outbuilding has block/slab floor. Available on .64 as m/l for $89,900 or available on 1 ac m/l for $91,900. 3 beds 1 Bath 0 Partial Bath 1,152 Sq. ft.